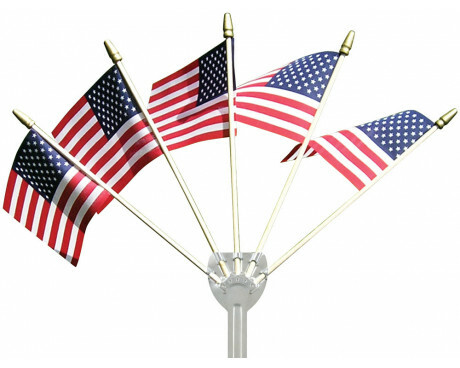 Mount a flag to your car window all of the time or attach one to your fender for the next parade or funeral procession. Gettysburg flag works is proud to offer flag hardware and flagpoles for vehicle flags. 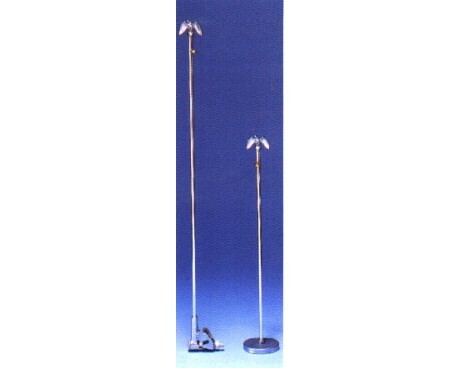 If you're looking for a flagpole hardware solution for your camper or for display in a parking lot, we've got the parts for that too. 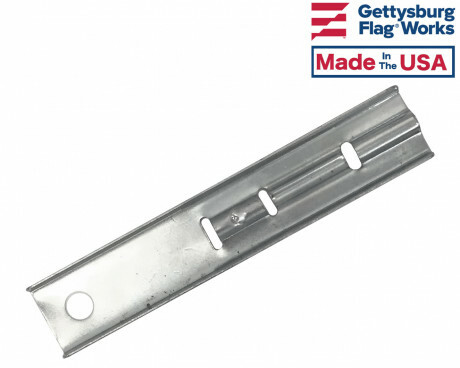 Mount a flagpole bracket to your RV for easy installation when you get to your campsite. 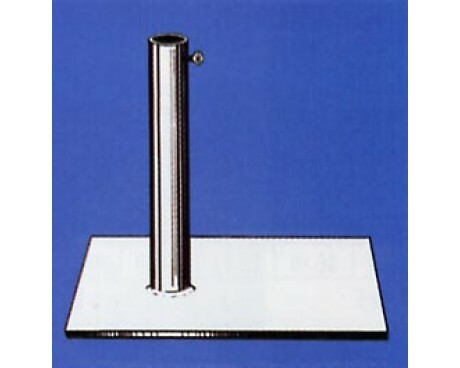 A tire base is an easy solution for tailgating or advertising flags. There are two ways to mount a flag to your bicycle. The more common type of bicycle flag today, mounts to the axle of the rear wheel with a bicycle bracket. This bracket holds a whiprod with the flag attached to the top. 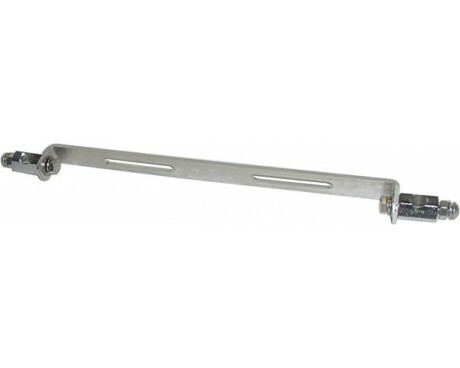 Handlebar flag brackets are less common today but are still available. 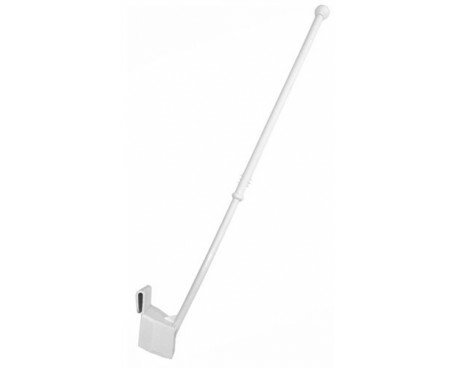 These are great for attaching stick flags to your bike just for fun or as a decoration during a parade. Motorcycle flag brackets are very popular. We offer a style of bracket that attaches behind the license plate on most motorcycles and hold up to two flags. Popular motorcycle flags are American, POW/MIA, branches of the military, club flags and more. Many boat flags are clipped to a light staff or a structure of the boat, but what if you don't have anything to attach your flag to? Well, that's when you need our boat flagpole. 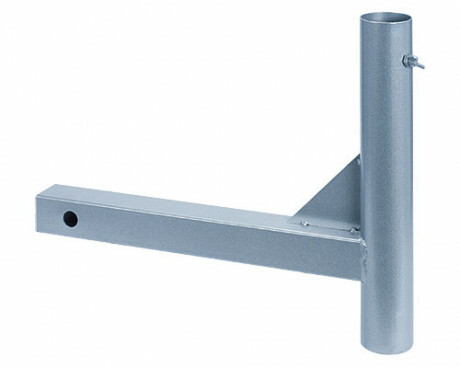 It's a pole and bracket combination that's specially made for mounting to your boat. It has hardware to hold your boat flag at a gentle angle.